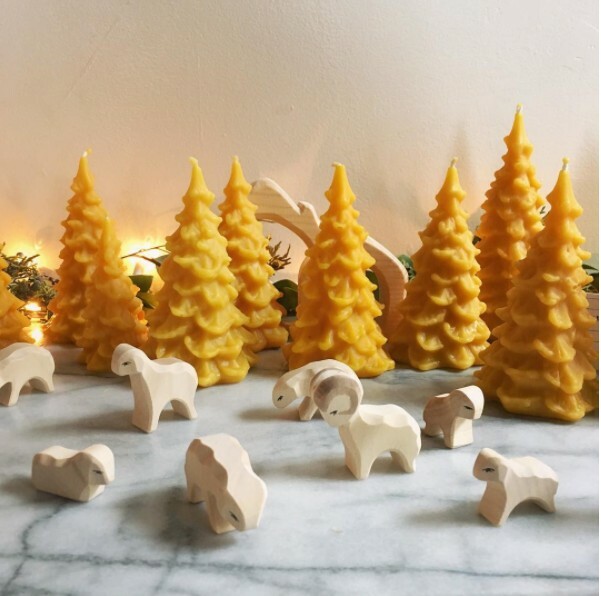 Meet Ostheimer: Exquisite Wooden "Toys"
In our wildest childhood dreams of what "being a grownup" might look like we never could have imagined that we would have an entire flock of of bay ponies, dappled grays, golden palominos, and UNICORNS, all under the watchful eye of our very own shepherdess/shopdog Ruby. SUCCESS! 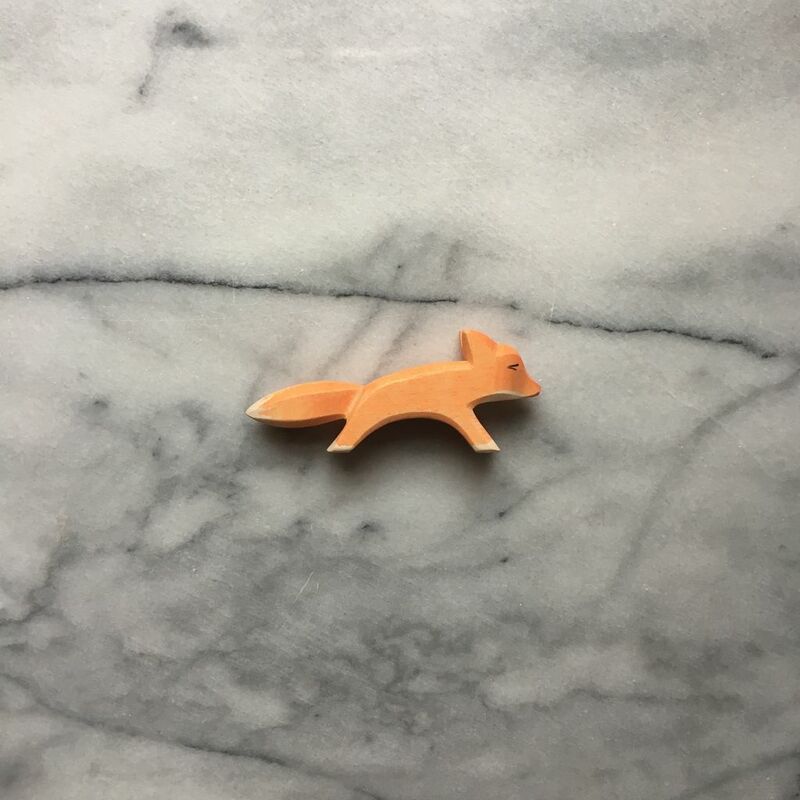 For every one of us possessing a childhood fascination with animals and their interior lives, with penchants for storytelling and beautiful make-believe (including, but not limited to, people who are actual children right now) we can't recommend the exquisite hand-carved menageries from Ostheimer Toys enough. 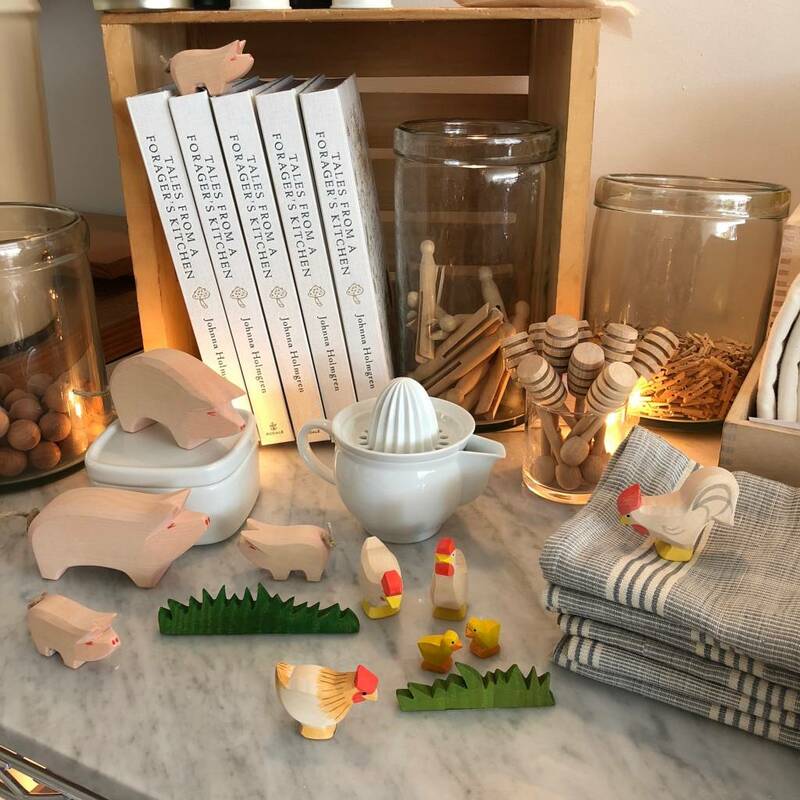 Perhaps it's our fondness for "Charlotte's Web", our childhood obsession with birds + horses, or our love of fairy tales, but the thoughtful, magical, farm-and-forest world of Ostheimer Toys is both lovely and familiar, one that makes us feel right at home among its ponds and pines. Crafted in Germany from sustainably timbered native hardwoods and hand-painted with kiddo-safe non-toxic pigments, the sweet ark-loads of hand-carved animal friends and their architectural elements (ice floes and mangers, fence segments and foliage) are all designed to encourage creative play and spark adventures in expansive world-building. Sturdy-yet-delicate, smooth to the touch down to every wonderful hand-carved curve, and finished with sweet details (slender leather reins lead Halflinger horses, Shetland ponies and nursing calves possess tiny hand-knotted rope tails), these are the toys lazy afternoon dreams are made of. They're also delightfully portable—small enough to tuck into pockets (and able to withstand an inevitable odyssey through the laundry if in pockets they do remain...donkey has never been cleaner and oh what tales he has to tell of his adventures in the stormy deep!). 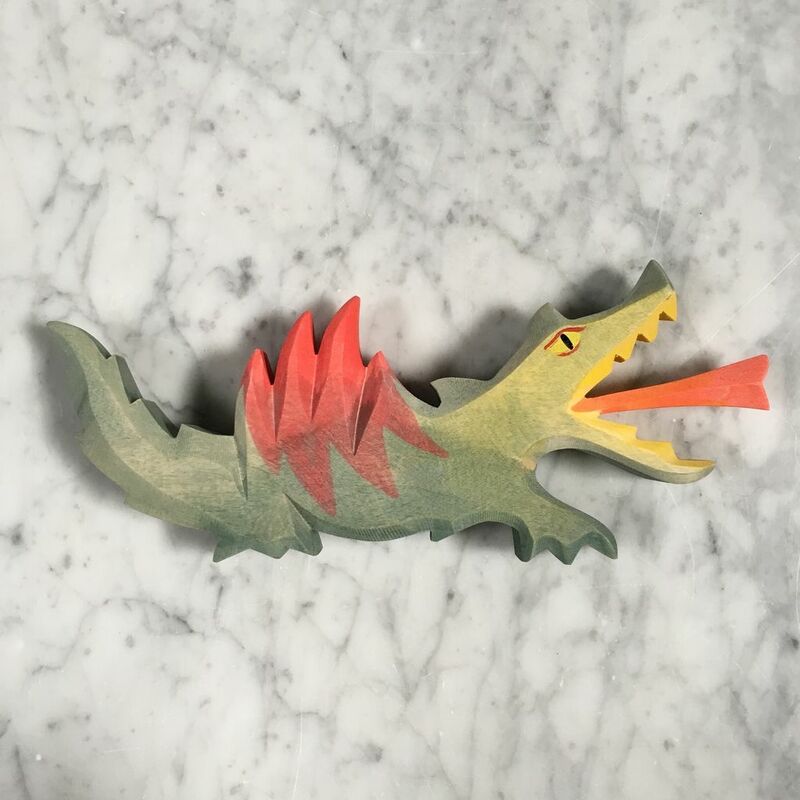 While the appeal of these classic, timeless toys for little hands and growing minds is obvious, we have been known to find a spirit animal among the animal collective and take our fierce little daemon home with us. There's no age limit on magic.